Side 1 printed with 1 PMS color using heavy coverage. 24pt C1S Semi-Gloss stock coated with Aqueous Soft-Touch. 1/2" metal rings. 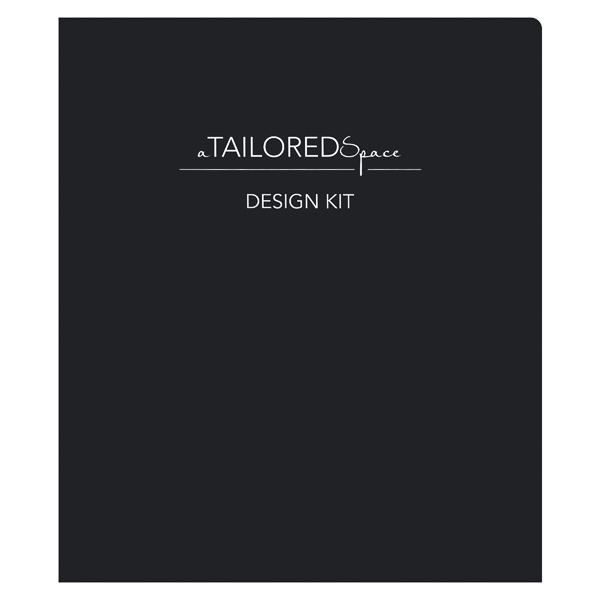 A Tailored Space reflects it passion for interior design with this simple yet elegant cover. The white typography is slim and fashionable, standing in perfect contrast to the black background. White panels give the interior a fresh, airy feel. ½" metal rings add a bit of shimmer and shine to the neutral color scheme. On the spine, the brand's name returns to reinforce its identity. Side 1 printed with 3 PMS colors using heavy coverage on 24pt C1S White Semi-Gloss stock coated with Lamination Plastic Gloss. 1/2" metal rings. 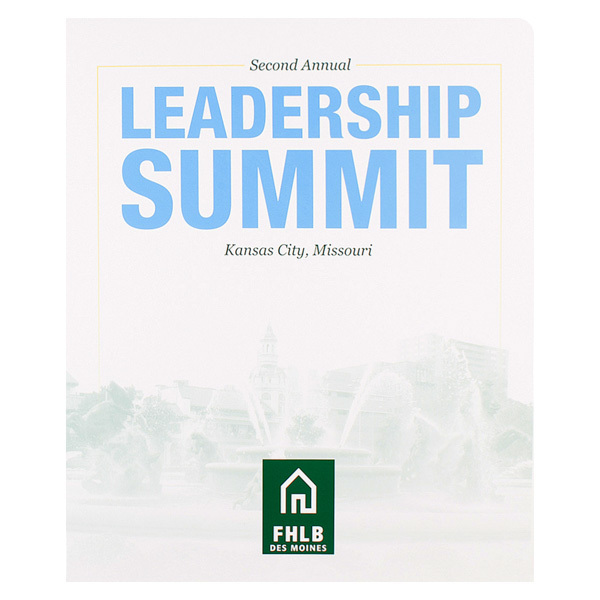 This binder features "Leadership Summit" in large, blue capital letters and the Federal Home Loan Bank of Des Moines' logo on the bottom of the cover. A Kansas City fountain landmark is in the background, playing into the city's nickname of "The City of Fountains." Inside is a pocket to place loose documents. The back contrasts with the front using a dark green, evoking feelings of growth and wealth. Social media logos for the bank are at the bottom. Four-color process printed on Side 1 of 24pt C1S White Semi-Gloss stock coated with Aqueous Gloss. 1/2" metal rings. 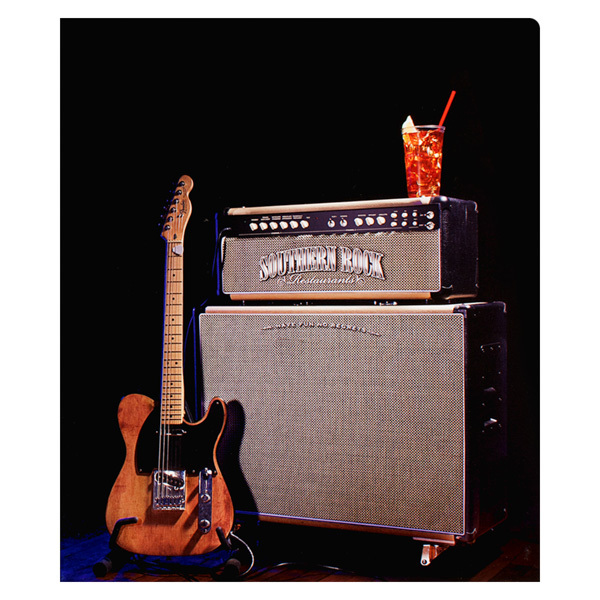 A guitar and amp convey the "rock" in Southern Rock Restaurant's name on the cover of this binder, while a glass of refreshing iced tea entices customers to look inside. An amp on the pocket inside reinforces the musical atmosphere customers can expect at the restaurant. Equipped with a metal binding mechanism, this product makes inserting or removing papers a snap. Binder rings come in three sizes—1/2", 3/4", and 1"—so you can select the right fit for the amount of 8 1/2" x 11" paper you want to carry. Once recipients peruse the contents of the rings, they'll discover a surprise: a single right pocket holding extra papers. The pocket's v-split edge keeps contents clear of the binding mechanism. Rounded corners on the outer panels likewise protect against general wear.